The College of Forestry was established with multi-disciplinary approach comprising biological principles, quantitative approaches through technologies and practices that are developed in order to manage and conserve our forest and natural resources. The primary focus of the College is on teaching, research and extension reflecting the social, economical and ethical values of forest community in this era. The objective of starting these courses in university system was to bring about qualitative improvements in forestry education, research and training. It aims at incorporating issues necessitating the changes, growing complexities in these educations, rationale behind the planned transformation, critical components of the curriculum revision, salient aspects of the revitalization and the modified educational strategies. Conceptually, we focus on developing the man-power of academic caliber and attributes in the field of forestry, agro-forestry, environmental science, agro-meteorology and wildlife sciences. 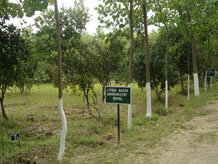 The contribution of forestry education to the general well-being of the people is increasing day by day. Therefore, appropriate training of forestry graduates is necessary. Today forestry students not only need latest scientific knowledge and wider range of technological skills but also more persuasive problem-solving approach. In this age of changing climate, we are required to think globally for the well-being of our planet, and respond to the growing demands on the natural resources. The faculty of forestry and environment in this university is positioning itself as a pioneer in sustaining, managing and conserving our precious forests, their products and restoring natural resources dynamicity. Our faculty also provides leadership to contribute independent scientific thought, to the ongoing debate on depleting forest. The mission of the faculty is to develop technically qualified forestry professionals with sufficient skills to manage, conserve and develop diversified forest resources and products leading to environment and livelihood security. It lays emphasis on meeting the challenges faced by the poorer and other weaker section of the society for raising their socio-economic condition through various activities in the field of forestry. Inaugurated as a small department of agroforestry, the College of Forestry currently has four departments, each catering to the needs of several post graduate and under graduate students. In recognition of the impact of advanced technologies on society, the college imparts socio-economic awareness and promotes the use of these technologies for complex problems. The educational programmes are based on contemporary theory and practice and provide a conceptual formulation to those aspiring to top-level positions and career opportunities. 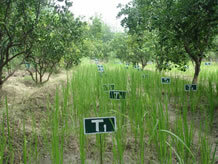 The mission of the College of Forestry is to develop professional empowerment in the field of forestry, agro-forestry, environmental science, agricultural science, wildlife science and agrometeorology for the corporate sector as well as for other socio-economic institutions that will serve the people and foster the progress of the nation.